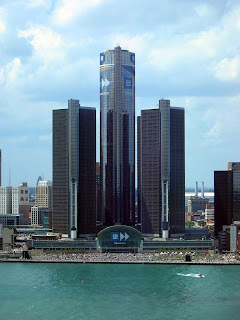 General Motors Renaissance Center is a group of seven connected skyscrapers in Detroit Michigan. The towers are used for office space, retail shops, hotels and housing. 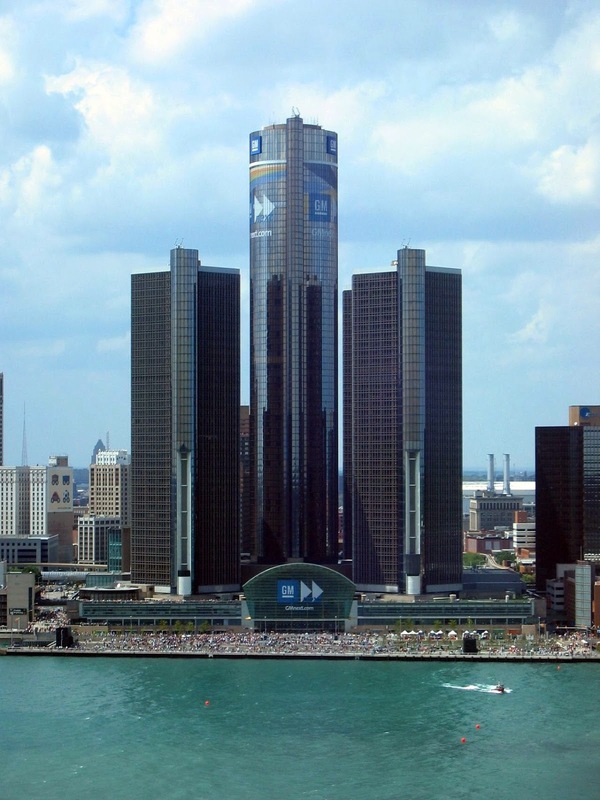 General Motors purchased the complex for their global headquarters in 1996. In the center, surrounded by identical buildings, is Detroit Marriott at the Renaissance Center, the tallest building in Michigan. The tower measures 755 feet and 70 stories high. It is used entirely as a hotel, and is the tallest building of its kind in the western hemisphere. It has a unique, cylindrical shape with a smaller cylinder attached for its elevators. The rooftop, at 726 feet, is home to the Coach Insignia restaurant. 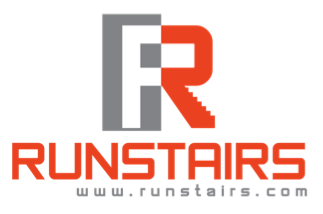 March 1 2014 I ran the stairs of this building and you can read about it here.